Global Obesity Epidemic - 2 Billion Are Overweight! Robots, nuclear weapons, and zombies. It has been speculated that each of these could bring about the end of the human race. But, it appears that mankind's undoing may come from within. In fact, our very own mouths and stomachs will be all it takes to send us the way of the dodo bird. At least, that's the finding of a new long-spanning study recently published. To put some hard numbers to that percentage, that comes out to just around 2.2 BILLION people across the globe! The study also noted that around 4 million people have died in 2015 alone as a result of health problems brought on by obesity, including diabetes, cardiovascular disease, and cancer. Researchers noted that the level of obesity has doubled in over 70 countries since 1980. As it stands, approximately 108 million children and 600 million adults currently weighed in as obese, i.e. having a body mass index (BMI) greater than 30. These same individuals also have a death rate of over 60%. Perhaps most alarming is the fact that the rate of increase in childhood obesity is greater than the rate of increase in adult obesity in many countries around the world. In other words, kids are getting fatter at a faster rate than adults are. This means if you thought the world was fat now, it's about to get a whole lot fatter when these kids become adults. Of all the countries surveyed in the study, the United States had the highest levels of childhood obesity (13%), while Egypt had the highest levels of adult obesity (35%). 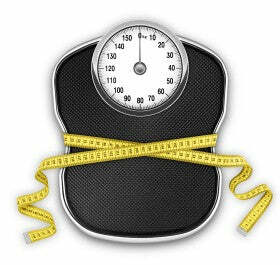 Additionally, researchers found a relative increase of 28.3% in the death rate across the world related to high BMI. The World Health Organization (WHO) has even gone so far as to declare obesity as a global epidemic and has issued a call to action to combat the "war on obesity". "People who shrug off weight gain do so at their own risk - risk of cardiovascular disease, diabetes, cancer, and other life-threatening conditions. Those half-serious New Year's resolutions to lose weight should become year-round commitments to lose weight and prevent future weight gain." This begs the question, why is the world getting fatter? Is it easier access to food, decreased physical activity, poorer quality food, or something else entirely? What do you think about the escalating rates of obesity and how could it be turned around so we don't eat ourselves into extinction? 2) "WHO | Obesity and Overweight." World Health Organization, www.who.int/mediacentre/factsheets/fs311/en/. Next article The Military Diet - Lose 10 Pounds in 3 Days?